During their recent visit to the Bay Area, Texas, and New York, Manari and his sister Gloria shared powerful stories about their community's resistance to oil drilling with everyone from indigenous leaders to Wall Street CEOs. 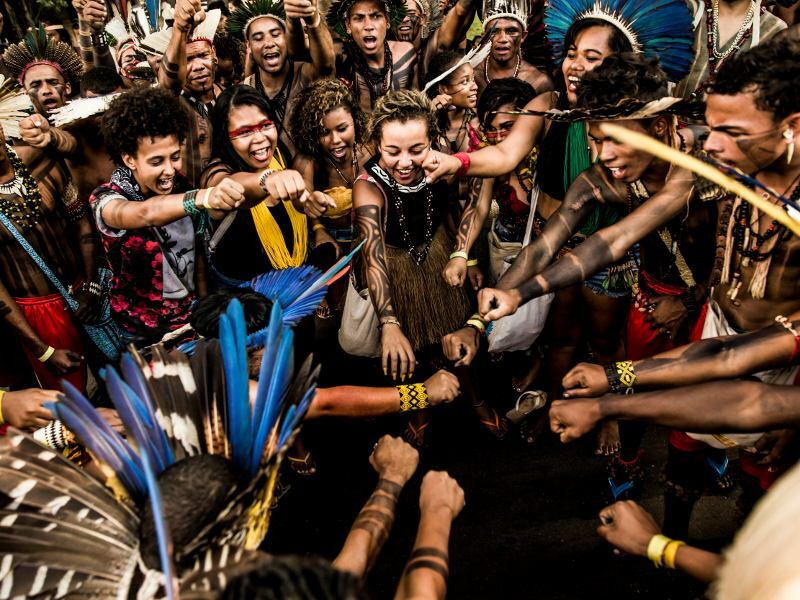 By making their experiences known, they helped change the conversation around climate change and indigenous rights, and they also got concrete responses. The technical language that policymakers and high-level executives use to discuss climate change often obscures the human costs of fossil fuel extraction and ignores that climate change is an issue of justice and indigenous rights. 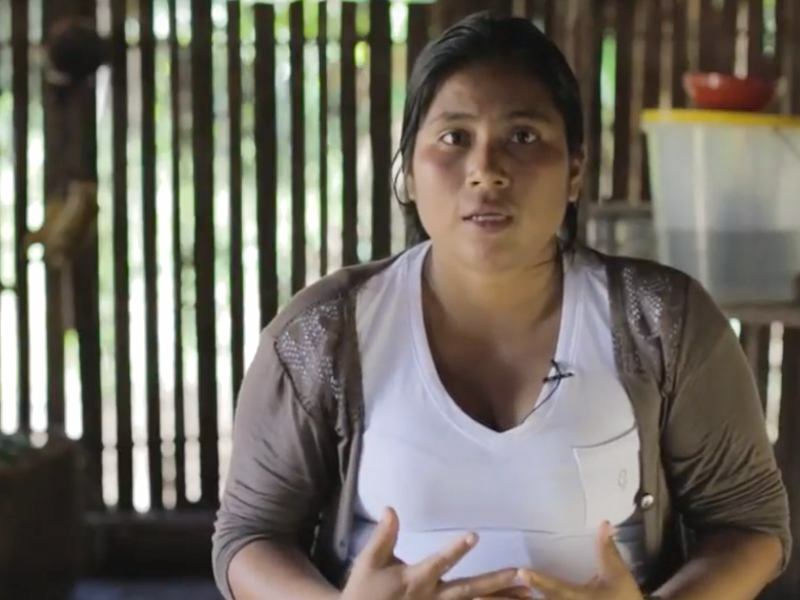 Most of these decision-makers using this technical language never come face-to-face with the people their policies directly impact, particularly when those most affected live deep within the Amazon rainforest and speak no English. That is why Gloria and Manari's recent visit to the United States felt so powerful and necessary. Gloria and Manari's people, the Sapara Nation, number about 400 and only a handful of its elders speak the Sapara language, declared by the United Nations to be an Oral and Intangible Culture of Humanity. 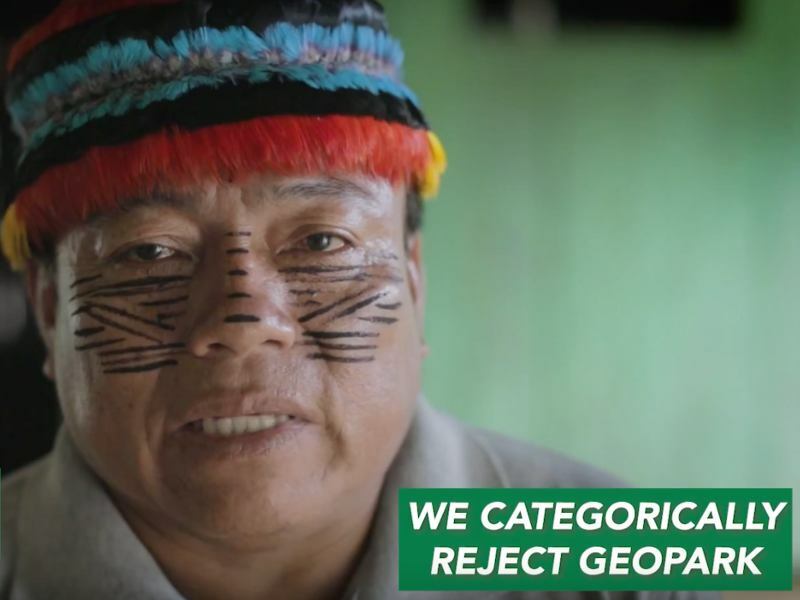 Therefore it is no exaggeration to say that, if Andes Petroleum does begin drilling for oil on their territories, the Sapara language and culture – which are intimately tied to the health of their rainforest homes – could be lost forever. Manari and my colleague Moira kicked off the trip by traveling to Plano, Texas. 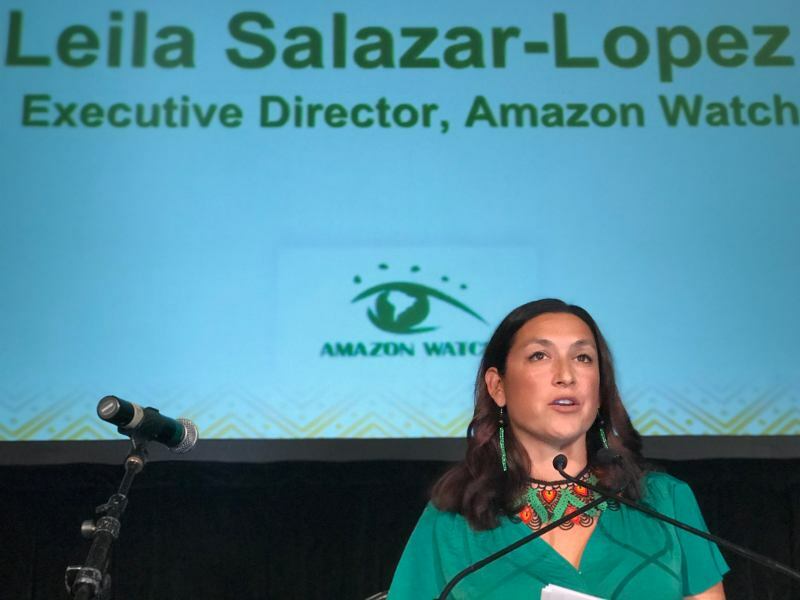 Together with leaders from indigenous nationalities and Rainforest Action Network, they made their voices heard at the JPMorgan Chase shareholder meeting. Each speaker showed the bank that its decision to invest in extreme fossil fuels has serious human repercussions from Ecuador to Canada. Meanwhile, Gloria spoke on a powerful panel of fellow activists about the need to keep fossil fuels in the ground from the Amazon to California. 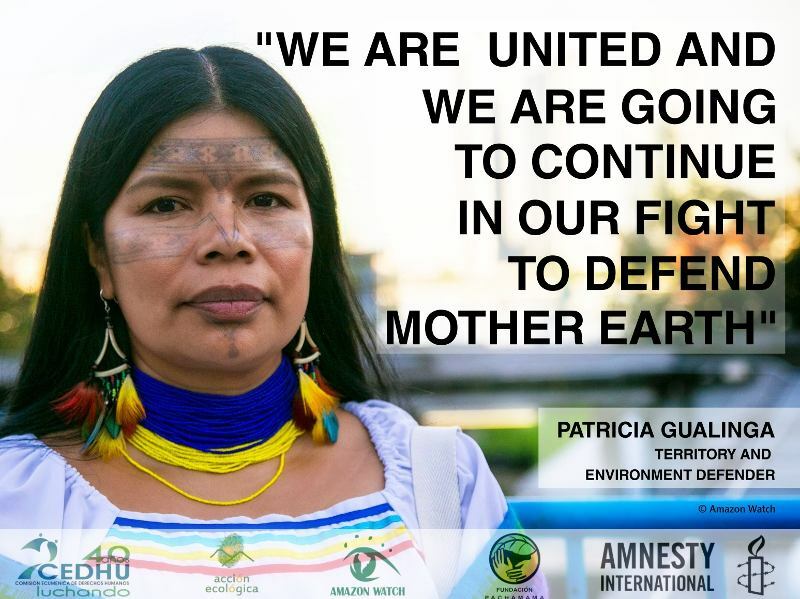 She also joined fellow signatories to the Indigenous Women of the Americas Defending Mother Earth Treaty at a New Moon Ceremony to pray that humans learn to find harmony with the water and natural cycles around the world and share information about ongoing organizing work. Gloria, Manari, and the Bay Area allies then came together for a rousing rally at the Chevron refinery to protest the company's toxic legacy in Ecuador and its current importation of Amazon crude. The following day, the Sapara leaders traveled to Sacramento with Amazon Watch staff to brief policymakers on the Sapara people's struggle to protect their territories and California's role as a significant oil producer and the largest importer of Amazon crude. There, we reminded California policymakers that the actions they take here have ripple effects on frontline communities around the world and that the best time for California to create a managed decline of fossil fuel production is now. Gloria concluded her stay with one final stop: New York City, the headquarters of BlackRock – the world's largest asset manager – which holds investments in the parent companies of Andes Petroleum, as well as other companies involved in oil activities in the Amazon. 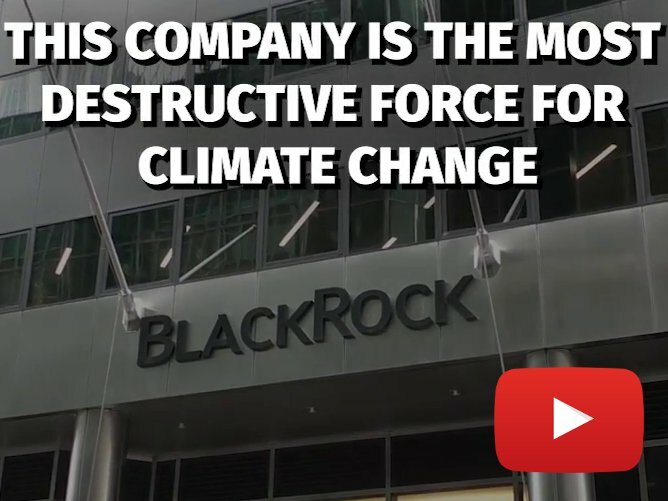 While she prepared to speak inside of the annual shareholder meeting, an actor playing BlackRock CEO Larry Fink and allies from Friends of the Earth and the Sunrise project gave handouts to shareholders about BlackRock's "climate problem" – as well as to the real Larry Fink himself! When Gloria spoke to shareholders, the room paid rapt attention. Many had never heard an indigenous person speak about the impacts that oil drilling and climate change would have on their way of life. An issue that had seemed abstract became real, and the impact of their investment decisions gained a human face. Creating this personal connection, whether with corporate executives, policymakers, or fellow activists, is an incredibly effective way to bring about change. Case in point: When Gloria and Manari spoke at the JPMorgan Chase and BlackRock shareholder meetings, they got a response. Both companies committed to further engaging with us and with Amazonian indigenous peoples about the impacts of their investments. Gloria and Manari are now back in Ecuador, where they will continue their work for territorial protection and hold a press conference in Quito to discuss their recent trip with Ecuadorian journalists.